5. 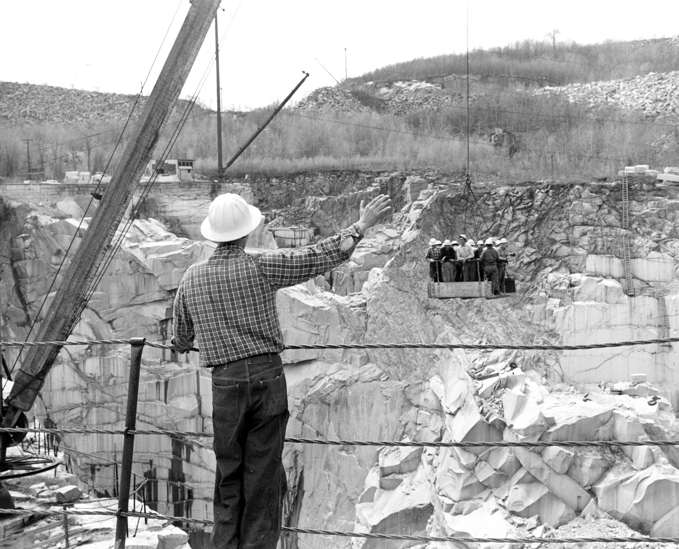 A signalman waves to the men coming up from the bottom of the quarry. In the upper right hand corner can be seen some of the tremendous piles of waste granite called grout.